This is an out-and-back route that starts in Arreau, France, crosses over the Col d’Aspin, then climbs to the top of the Col du Tourmalet and turns around back to Arreau. 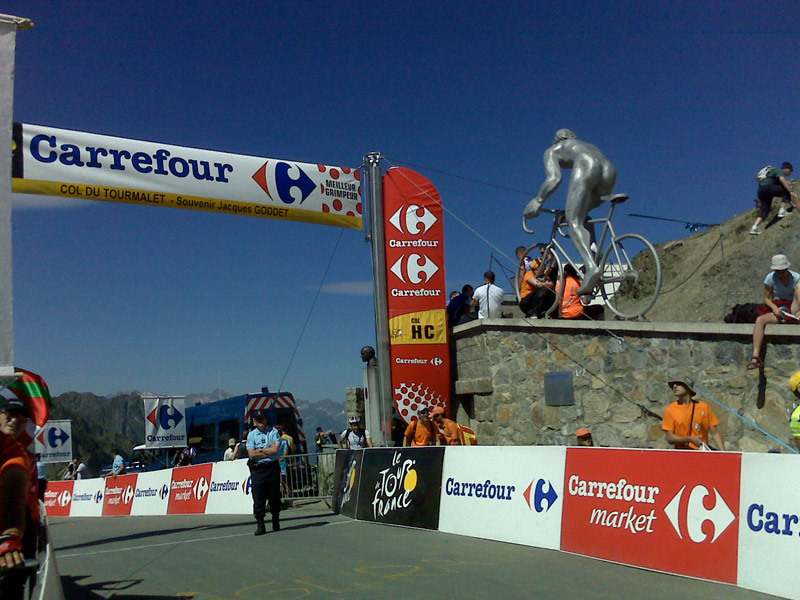 – It’s in the Pyrenees on a roads that have many times been part of the route of the Tour de France. – Beautiful rural scenery and picturesque French towns. – French bicycling road signs which give regular statistics about the upcoming grade. – I can’t think of any negatives about this ride, but it is rural France, so depending on time of day, time of year, etc., it may be difficult to find replenishment on the route. Plan accordingly.